Regulatory reference or safety values for crop protection products are acceptable levels of potential exposure to humans and wildlife. They are determined by a battery of tests prior to being approved for use showing no observable adverse effect levels (NOAELs), plus a wide safety margin. For human health, the typical safety margin is at least 100 times lower than the NOAEL in toxicity tests. Existing test methods,, allow for the establishment of regulatory reference values, including those relevant to sensitive populations and windows of exposure. These tests evaluate adverse effects induced by a variety of modes of action, including interaction with the endocrine system. Tests for crop protection active ingredients and products look at a variety of parameters to determine their potential adverse impacts for humans (most often in laboratory animals) and wildlife (using a number of sentinel species like fish). Based on the findings, the most sensitive and relevant parameters form the basis of the safety evaluation in each case. The extensive and rigorous tests typically used to develop global toxicological and ecotoxicological datasets for pesticide active substances are conducted according to internationally accepted test guidelines; many are represented in the Organisation for Economic Co-operation and Development’s (OECD’s) Conceptual Framework for Testing and Assessment of Endocrine Disrupters. The scope and nature of the current testing is sufficient to detect adverse effects resulting from endocrine activity, characterize these adverse effects in terms of a dose response and provide regulatory reference doses that can be used in risk assessment. Animal models used in the routine toxicological testing of pesticide active substances are capable of detecting adverse effects related to all mammalian endocrine modes of action as there are no known endocrine modalities in humans that do not exist in animal models. Therefore, even if an observed adverse effect may be different in humans compared with a test animal (e.g., rat, mouse, rabbit or dog), the animal models are still predictive of humans in that they can detect endocrine-mediated adverse effects and can be regulated appropriately. 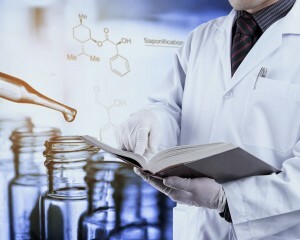 In most cases, the animal models are capable of detecting effects to those that may occur in humans; for example, mammary gland tumors and other hormonal cancers (e.g., prostate and testis cancer) are detectable in the standard carcinogenicity studies. It is acknowledged that a test guideline covering the lifespan of in utero exposure until old age currently does not exist. However, the existing testing paradigm for crop protection products will identify endocrine-mediated adverse effects and correctly characterise these substances (e.g., carcinogenic or reproductive hazard). Nevertheless, initiatives are ongoing under the auspices of OECD for the possible development of new or revised tests for the detection of effects considered to be predictive of endocrine-related human diseases. For ecotoxicological evaluation, a range of tests are performed across different animal species (mammals, birds, fish, aquatic and terrestrial invertebrates). Specific higher tier tests (e.g., full fish lifecycle toxicity) may be triggered by toxicity or specific mode of action indications from mammalian toxicology studies or by the pesticide mode of action. Adverse effects, regardless of the mechanism behind them, will be detected in the various long-term tests available for both vertebrates (mammals, fish and birds) and invertebrates. Endocrine disruptors will not typically induce a single specific effect, but rather multiple responses leading to a diverse range of adverse effects. For invertebrates, there are no widely accepted mechanistic endpoints because the understanding of invertebrate endocrinology is limited and therefore, reliant on lifecycle studies. These studies measure endpoints (measurable adverse effects like tumor growth) that are population-relevant (e.g., growth and reproduction) and any endocrine-specific toxicity should be adequately accounted for in the full lifecycle response (i.e., risk assessment based on these data would be protective of any adverse effect that may result from an endocrine mode of action). A well-accepted principle of ecotoxicology is to extrapolate from a few test species to the multiple species living in the environment (e.g., aquatic amphibians are covered by fish). Also, surrogate or substitute species are used to represent a group of them. For example, the laboratory rat may be used to represent all mammalian species for the ecological risk assessment. A series of tests are available in the OECD Conceptual Framework for mammals, bird, fish and invertebrates. It is simply not feasible nor desirable to test an exhaustive list of different species, especially vertebrate animals, due to ethical considerations. Potentially more sensitive wildlife species are accounted for in the risk assessment through the use of safety factors and built-in conservatism in testing (e.g., continuous exposure of sensitive life stages). In summary, adverse effects on the normal functioning of the endocrine system related to human health and the environment will be identified in the extensive, standard suite of tests and therefore regulatory reference values can be established. The required studies have been repeatedly demonstrated to be comprehensive and scientifically robust. They have and will continue to address different durations and routes of exposure, sensitive populations and windows of exposure, and differences across multiple species. The selection of NOAELs for the most sensitive endpoints from the most sensitive test animals ensures that risk assessments are protective from multiple mode(s) of action, including endocrine disruption. Bogert CJ, Baker SP, Matthews JC. 2013. Potency matters: thresholds govern endocrine activity. Regul Toxicol Pharm. 67(1), 83-88. European Food Safety Authority Scientific Committee. 2013. Scientific Opinion on the hazard assessment of endocrine disruptors: Scientific criteria for identification of endocrine disruptors and appropriateness of existing test methods for assessing effects mediated by these substances on human health and the environment. EFSA Journal. 11(3):3132 (page 77). Organisation for Economic Co-operation and Development. Series on testing and assessment: No 178: detailed review paper on the state of the science on novel in vitro and in vivo screening and testing methods and endpoints for evaluating endocrine disruptors. ENV/JM/MONO(2012)23.